UESP Forums • View topic - Selling stuff and increasing Speech Skill. Post subject: Selling stuff and increasing Speech Skill. When playing Oblivion I recall being advised to sell multiple identical items, such as low level arrows, one at a time, even though it was a laborious no brainer task. Why? Well the way the advise came over the explanation was that if you sell one hundred arrows en bloc it is counted as one item, but if you sell them singly it will be recognised as 100 separate sales or conversations. My question is - is it the same situation for Skyrim? Post subject: Re: Selling stuff and increasing Speech Skill. In Skyrim you get XP for Speech based on the value of the item you're selling or buying. So when you are adventuring prioritise things that are high-value and low-weight like potions and jewellery, or very high-value (like Daedric arms), to sell. You are probably already doing this so it all fits together nicely. In Oblivion you got the same skill XP per transaction - regardless of the item value - so lots and lots of low-value items sold one at a time were most 'efficient' for XP. Having said that, I have heard that (in Skyrim) if you sell items in batches you still only get the XP for one item. I can't personally confirm that, but if true then that would make selling high-value items one at a time the best way to boost Speech. If you have more money than you know what to do with (a nice problem to have) you can level Speech fairly quickly by just buying and selling the same objects (high-level potions and Daedric arms work well) backwards and forwards over and over again. You will lose a lot of cash doing it this way and prepare for the merchant gold to get a bit glitchy if you do it too much - but it works really well. Also if you are planning to level Alchemy then you might want to hold off spending too much time micro-managing Speech increases for the moment because you will be able to sell all those potions you'll make for ridiculous amounts. So it is possibly what I think it is then. May be as well selling batches of the same item singly to generate separate transactions. If you have a batch of high-value items then possibly it would. I'm not sure it would be worthwhile spending the time doing it with low-value items though. And generally iirc high-value items tend not to turn up in huge batches (unless you are levelling Alchemy and just churning the things out) so it might be something of a moot point. tbh I find that high-level characters always end up with "more money than I know what to do with" anyway so I just wait until that point in the game and then blow X million septims on a buy-sell-buy-sell of some magical Daedric arms and max Speech with a minimum of tedium that way. That is my preference anyway, I guess it depends on how desperate you are to optimise your Speech skill - it's always a low priority for me. Not at the point where I have more money than I can count yet. I've purchased two houses now fully furnished and a plot of land near Falkreath where I've been doing a bit of DIY. 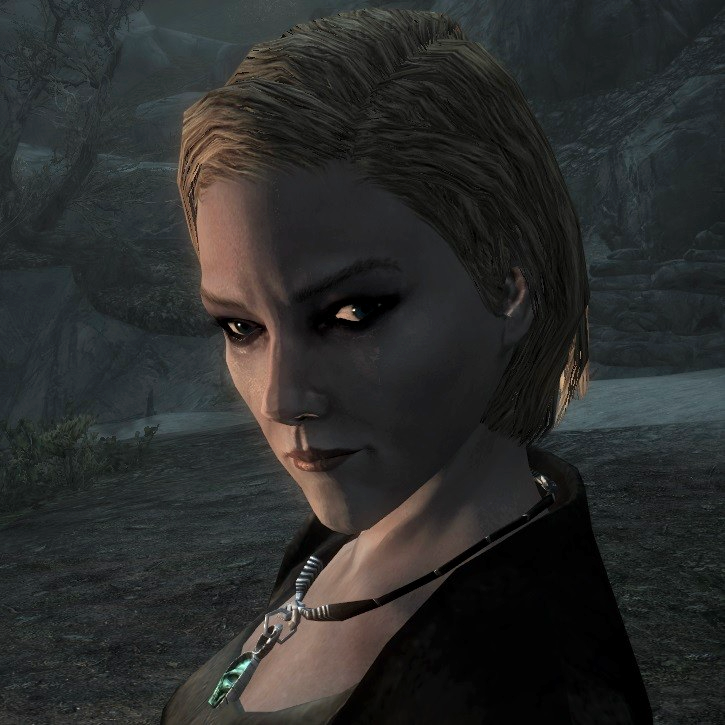 Introduced my self to Jarl of Solutide and her staff today, one of which has offered me a property for twenty five big ones. My priority at the moment is getting my levels up on Sneak, Lockpicking and Archery, which I'm relying on use, training and perks. The fourth property will have to wait. My speech skill is getting there but the traders still are limited to below 800 gold per day. When does this increase? Why is the guy in the Drunken Huntsman so rude? Is he like this with everybody? It's all in the wiki. There are perks at Speech 70 and 100 that can increase merchant cash. There's one you can pick up at 50 which is very useful - it lets you sell anything to any merchant. And if you remember to make use of the merchants in military camps as well then you can keep a reasonable amount of cash flowing in. Another thing to know: if you don't care about getting gold, you can keep selling items to a merchant after they've run out of funds. You'll be selling the items for nothing, but you still get Speechcraft experience as if you did make a profitable sale all the same. If you already have more gold than you care for, you don't need to let the vendor's limit stop you from cramming for more XP. This is precisely why I never pick up a second round of contracts from Nazir. I get the first round up, kill one to bring Cousin Sissy into the Sanctuary, fulfill 'Mourning Never Comes', reveal the Night Mother's words, then head on off to finish one or both of the remaining kills to trigger the big mission. From then on out I ignore Nazir's topic to trigger the second round and instead roll on with the Night Mother's taskings. Oops! Wasn't that the guy on the market stall who had a DB contract on him? He's dead any road up! Yeah, he's rude when you walk in, but after you deal with him he's all "thank you very much for your business." Yeah, selling single high-value items will grant you more XP than selling a bunch of lesser items. For example, selling an item for $1000 will grant more experience than selling ten $100 items - either individually or collectively. Recently I was selling my stupidly powerful potions I'd made to train alchemy and was getting 1 speech point for every two potions sold. Not bad considering my speech was already mid-level. Granted, the merchant did not have enough gold so I was losing probably a couple hundred dollars in each transaction. I had so much money that I didn't care, though, and was just trying to level speech.